Dr Johan C. Bester, UNLV School of Medicine Bioethics Director in an interview tried to separate myths from facts about Vaccination. Vaccinations simply, protect us from vaccine-preventable diseases that are extremely dangerous They have saved innumerable lives and in fact, has been one of the greatest medical breakthroughs of modern civilization. But lately the — vaccinations — has become increasingly controversial and many parents question their value in recent years. A: The role of vaccinations can be boiled down to one simple thing: vaccinations protect children against harmful, infectious diseases. 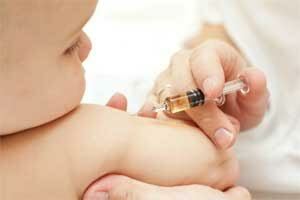 There are short- and long-term complications for children who are not vaccinated. Contracting measles, for example, can lead to frightening complications including pneumonia, hospitalization, and death. Measles can compromise a child’s immune system for up to 3 years which causes other infections, and it can also affect your brain. It’s a devastating illness, but the measles vaccination is extremely effective. A single shot is 92 to 95 per cent effective at preventing measles, and if you get the recommended two shots, it is 99 percent effective — two vaccines reliably protect a child against measles. We need to have an extremely high rate of vaccinations — 95 per cent — because the more refusals we have, the more the above-mentioned individuals cannot be protected. If we vaccinate at lower rates, it creates pockets of vulnerability in the population where disease outbreaks can happen and spread. Nationwide, we hover around 90 per cent mark for 1 dose of measles vaccine depending on which year you look at. Some states fall well below the 90% mark. It’s close to where we want to be, but not quite there. A: There are many reasons, but one reason is false information about vaccines that can easily be found on the internet. If you look at this misinformation, you’ll find a variety of suggestions for why vaccines are unsafe. If one presents evidence that this information is false, then another reason why vaccines are unsafe is offered. This is the idea of shifting hypotheses. A: Absolutely — that’s what happened in the U.K. They eliminated measles before we did, then came the fraudulent research study that proposed a link between the MMR vaccine and autism. There was a huge autism scare and vaccine rates dropped into the 80 percent range. As a result, measles came back, and in 2008 the disease was declared endemic to the U.K. More refusals will lead to more outbreaks, which could cause currently eliminated diseases to become endemic in the U.S. once again. One of my biggest concerns is that measles will come back in the US, and we see more and more outbreaks in recent years.